Sometimes a chair is not quite enough. And even two chairs may not be right for those lazy relaxing, or more intimate moments. Then there is just one answer - you need a snuggle chair or love seat. 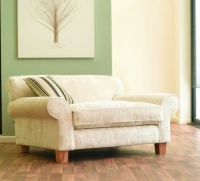 Or even a traditional chaise longue. Time to put your feet up, cuddle and relax!